I just want to know which shop did the snow boarders edges, they were super sharp. Chris, very sorry to read of your injury. Please add my voice to your GBS well-wishers. Skiing with Demons (or: The TAO of Chris) came up a lot during our last Zell adventures. If anyone is still vaguely interested - The Chalet Project is over, I can't face another season. Here is a blog explaining why? Now I can simply go on skiing holidays like normal people ( or maybe become a snow gypsy and live in a well insulated camper van). not surprised if you only skied one day per week. What on earth was the point? Seriously? Glad to hear the leg is better! You do know this was gonna be the best one yet? Powder and bluebirds aligning with your free days! easy going, well behaved guests from straightforward bookings. Well probably not  but you never know. Best of luck this season and thanks for the books that nudged me out here. Although I never did make it home. @jedster, Yes that was a little exaggerated. I do usually ski more than one day a week. But it's mostly Girlfriend Skiing with guests. Very pleasant, but it is rare I get to ski to my own agenda. @hawkwind, It seems my books have prompted a few folks to setup their own Chalet Projects, hopefully with a bit more acumen than me. This maybe one of the reasons it's getting harder to find a suitable chalet in Morzine. Or it could be that Zine is getting ridiculously popular. The Ski Nazis are running their own Project next season too ( just Jan and March). So maybe I'll be staying as their guest a lot next season (payback time) "Valerie , this porridge is too hot." I'm now being inundated with offers of accommodation. Maybe Ill sofa surf all season. I've also been invited on a skiing road trip - I'd probably get a whole book out of that one. As they say "When one chalet door closes several others open". (hmm , must use that line). I must admit maybe I didn't quite grasp the scope or intent of the Chalet Project - I'd always thought it was supposed to be a little bit of a self funding collective where the guests covered your overhead rather than a full serve business. Or maybe you're just too nice to say "actually today I was going to do my own thing"
@skiingwithdemons, Good luck with the next stage of your life. I have enjoyed your books and hope whatever comes next for you leads to more inspiration and more books! best wishes, loved your books, always telling people going to Manzine to buy them! @CaravanSkier, @endoman, Thanks guys. Very encouraging. I need to do something ski-related this winter - SWD3 is about 8 chapters short of being an actual book! Oh dear, I just read a review from, what sounds like, a young person (pre-apres ski age). If you actually care, this is how the book may have changed my life: I'm still at an age where I'm lucky enough to decide what to do with my life (And an age where I've never experienced Après Ski). Before reading this book I was already a ski fanatic - completely obsessed. My favourite place to ski was the Portes du Soleil (Specifically Morzine) and I was contemplating living there. This book has been a bigger eye opener than most days at school for me. Chris, with his relatable skiing stereotypes and fantastic humour has convinced me to become a professional chalet host. My Logic - If someone undergoing mid-life crisis (Such as Chris) can do it - so can a person undergoing a pre-life crisis! I hope that in a few years time I will be able to join the elite club of bacon runners at the start of the season on their annual commute to the best office in the world. Hi Leigh, Thanks for the great review and your enthusiasm for my books. It is good to know what you want to do with your life at an early age ( pre-apres ski). I'm a little concerned that your parents might not be so impressed with my influence. I, at least, had a few quid ( and a pension prevision) when I embarked on my new life as a Chalet Host. As well as being amusing, I hoped my books might serve as a warning to those thinking of jacking it all in and heading for the Alps. But, if you've read them both you'll be aware of the downsides as well as the ups. Maybe I got it the wrong way round? Do the hedonistic chalet host thing when you’re young - then become an accountant when you're old. In any case, I wish you “bon chance”. Yes there is to be a SWD3 and it's in the making. I’m just struggling to finish it. It needs a conclusion and I haven't yet decided how the Chalet Project ends. You can make important decisions with your head or your heart. Whichever one you choose, the other organ usually haunts you. But all I feel right now is excitement - I’m actually looking forward to the forthcoming ski season! I did have a slight pang when I turned down what would have been my first booking. It initially felt very wrong to say 'no' to a perfectly good piece of business. Then it felt good, in a wicked way, to be delivering the bad news. However, articulating the very sentence that summed it up, 'No chalet this year mate, I’ve decided to just go skiing', I knew I’d made the right decision. Perhaps, with a season off, it would be a good time to re-mount my campaign for higher BASI status. Part of me knows I’ll need a skiing goal if the Apres Aliens* are to be avoided. But then I know that BASI courses are purgatory. 'BASI have been ruining skiing since 1963', as one disgruntled candidate once told me. But on this one, I’m going with my heart (not my head) and say 'no', I’m going to try and actually enjoy my skiing season instead; not toil it away and spend hundreds of pounds trying to ski like a ballerina. With no chalet to run and no ambitions to become a fully qualified instructor, it might seem like my alpine dream has fizzled out and the Chalet Project is over. I feel like I might be letting down those who have enjoyed my books and foolishly been inspired to create their own Chalet Projects. I’d like to tell them something profound like, 'it’s a journey not a destination', but as the Alps are actually a destination, that’s not going to work. Enjoy, keep safe & have fun. Thanks @CaravanSkier, I'm really looking forward to this season, a feeling I've not had for a couple of years now. I will miss my regulars of course - well most of them. @michaelbury17, Skiing for enjoyment! I'd almost forgot that was possible. @skiingwithdemons, but still writing SWD3 on your travels, I hope? Enjoy a season free of whinging guests and I hope you have lots of fun. @HoneyBunny, Thanks and yes - I will still tap away at my laptop whenever I can. I already have some 50k random words already penned for my next book. Quit a lot of them are about recovering from injury, retiring from the chalet business and quite lot of the others are gibberish. I still need some themes and an ending too. I have to return to the dreaded Tignes in December to take the SCGB Leaders refresher course which might be a good end point for SWD3 - a happy ending I hope. @skiingwithdemons, December is not an ending, merely the beginning of a new chapter. If you have a pass/fail on the course rather than just a tick in the CPD box, it makes little difference to the ending as either way you'll have a season of skiing to participate in. @ousekjarr, hilarious, the armoor might chafe a little in the moguls. I have seriously thought of wearing my motorbike trousers (kevlar with lots of pads). But where do you stop? Protection for the arms as well? Cricket box? Yes, I'm unlikely to fail the refresher course, few leaders do, but I have a history of pioneering failure. - I think it's a little more then a CPD course too. and what personality type do you need to be to enjoy it - many don't. Is it the act of skiing itself, people enjoy or just simply being in the mountains? Is skiing all about the skiing, or the environment in which it is done? Bubble wrap is your friend. SnowDomes and rolling carpets seem to suggest the former. Ski Touring is a good example of the later. Not sure this will help, but for the actual skiing for me, its being in that moment, rarely happened to me lol, but just when everything is working as it should, and you know it. There is a perfect harmony between the environment and the activity, nothing else exists! #1 - "Skiing" itself can mean all sorts. Racing, piste bashing, off piste, touring, a holiday. I live a short drive away from a dome but I've not once skied there. For me as a kid brought up in city suburbs in the Midlands, and never having been to the mountains - the Alps environment was enough of a buzz to begin with but then the sport that followed too it to another level. I guess the icing on the cake was the sense of adventure and the friendships that developed through doing it. I think the trouble with writing a book about it will be those that do it will already know it and those that don't simply won't understand. Just another thing, it can be highly surprising, those that don't like it. What's the timing of your reps-reboot? snowHeads are there, in Tignes, in force the first 2 weeks of Dec.
And that there are many types of "skiing" and the pleasure of each is multifaceted. Apart from mogul skiing , where it's just masochistic. @admin, the refresher is 15-19th Dec. The new leaders course is the 15th for two weeks, I think. - so dozens of blue jackets I'm afraid. I'm in Val the week before (8th), remembering how to ski off-piste and hopefully why I enjoy it. Apart from mogul skiing , where it's just masochistic. Oh, I dunno. I've grown to quite like them. But then I've been known to put myself through various degrees of skiing related misery and yet keep coming back for more. Maybe that's a part of it - for some at least - the idea that some of it is difficult, but not impossible. Maybe. Or perhaps it's just going fast, mountains, and beer with friends. Or perhaps it's just going fast, mountains, and beer with friends. BASI - misery is thy middle name. It's as different as there are skiers. I think oddly a Clarkson column best encapsulated it for me - it's a massive ballache and incredibly expensive (for an average Brit relative to other leisure activities per hour) but when you are doing it you are sufficeintly engaged to forget about everything else and just experience joy. And once you are sucked in it is incredibly addictive. What I can't fathom are people who are casual about whether they have a ski holiday this year or not, while I'm scrabbling with vacation days trying to work on my next "hit". @Dave of the Marmottes, in a shameless bid for a royalty share there! Seconded. Weirdo's, that's what they are. Many of us Snowheads will be in Tignes the week you’ll be in Val, so it might be worth adding your name to the ‘I’ll be in the area’ on the PSBFU2018 thread. 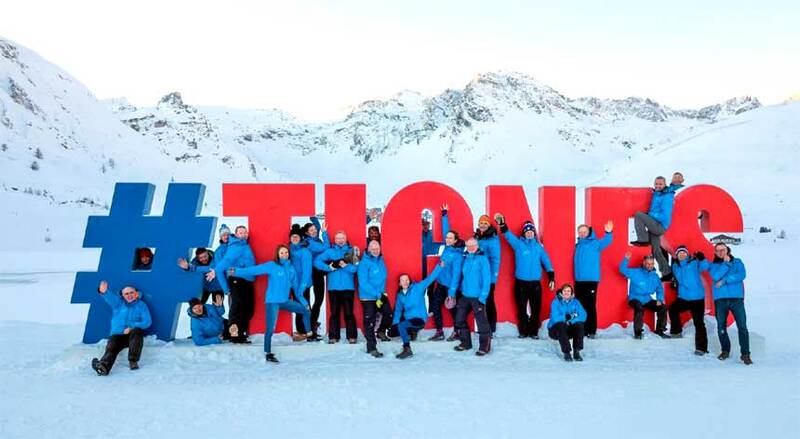 Hopefully the links between Tignes and Val will be open like last year. @Dave of the Marmottes, excellent Clarkson quote, might disguise and reuse. @admin, no royalty shares available - maybe a free copy of the book if I use a SH quote. Nah you won't want to hang with the "bedwetters" when you're with the ubermensch of the SKGB reps. 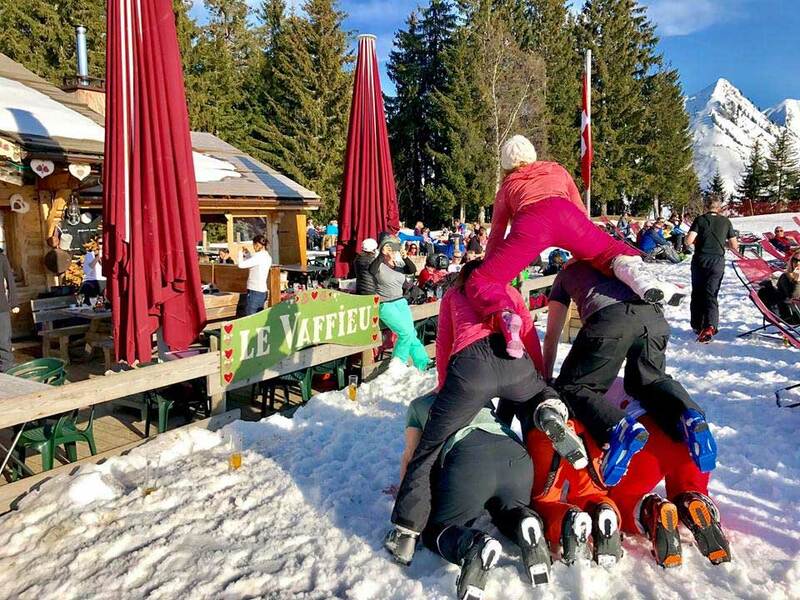 Le Vaffeiu Morzine - "famous for its tartiflettes and infamous for its flirty tarts"